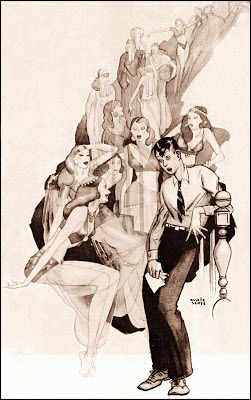 I don't know anything about the story that this illustration by Walt Scott was for, but it looks mighty interesting, mighty interesting indeed. Very nice wash technique, says I.
I do believe that Walt Scott is the same fellow who turned out some comic books back in the late 40s/early 50s about 'Little Folk' or 'Little People' or some such title, akin to the Teeny-Weenies and Walt Kelly's Brownies. Walt Scott made a lot of illustrations for newspaper magazine sections (in the Sunday supplements), so this art could have illustrated an article and not a fiction story. Yes, yes, p'raps so. Maybe for one of Hearst's superbly illustrated rags. Walt Scott was my grandfather. He worked for Disney, NEA and himself. He had a sindicated cartoon strip, The Little People and Hucklberry Hollow for many years. 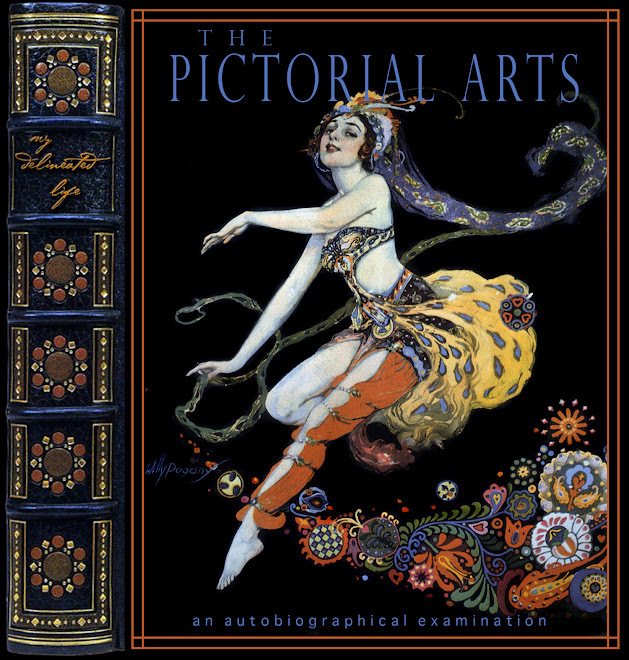 He did some fanastic watercolor paintings in his time. He lived in the Cleveland area. I find his comics and art from California all the way back to Cleveland.